Everyone loves a superhero! Rescue Me! 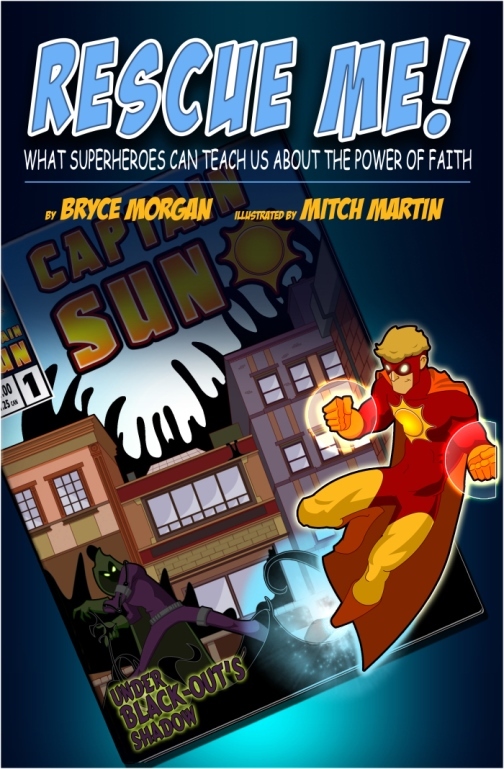 What Superheroes Can Teach Us About the Power of Faith – Book 1 from The Captain Sun Adventures by Bryce Morgan and illustrated by Mitch Martin takes us on an exciting, illustrated journey that helps us discover important truths about our faith along the way. Rescue Me! What Superheroes Can Teach Us About the Power of Faith, Book 1 features the superhero, Captain Sun as he wrestles with the forces of his evil enemy – Black-Out. In true comic book fashion, our hero must overcome the enemy and save the city. Woven throughout this brightly illustrated graphic novel are timeless truths from the Bible. Think of this book as part comic book, part devotional. Some of the topics include our origins, rescue from sin, spiritual power and responsibility, sacrifice, who to turn to when we need help and how to be a real hero. This book is a great resource for both parents and children. The short chapters are followed by a newspaper-like devotional that includes Scripture references. Additional questions to think about and discuss are included as well. 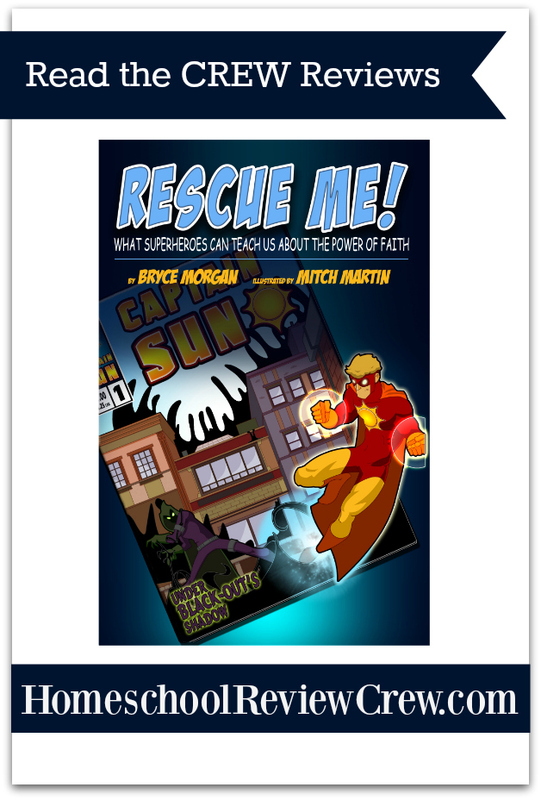 The book encourages readers to become superheroes themselves through their faith in Jesus.